Once, during my younger, less dignified days, I had a chocolate craving so intense I actually sucked the chocolate coating off a jar of chocolate covered peanuts. Sad to say, I left the nuts in the jar to be consumed by an unfortunate bystander. I'm not proud of it. Luckily, I now have this awesome recipe up my sleeve for when the chocolate haze descends! I've discussed my love of one bowl recipes before and this definitely qualifies. 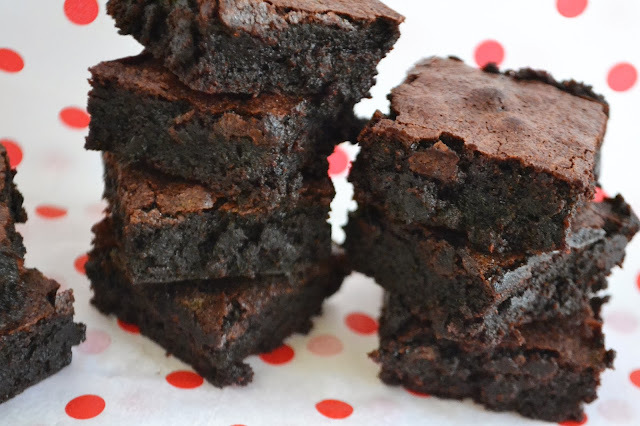 All you need is a microwave, a brownie pan and a spatula. 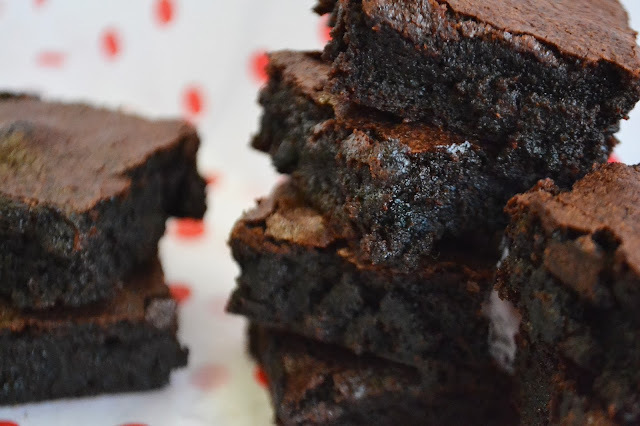 Amazingly, this recipe doesn't use melted chocolate as many brownie recipes do. Instead, they get their deep chocolate flavour from dutch cocoa! This recipe is actually from Smitten Kitchen as the Best Cocoa Brownies and let me tell you... they are. 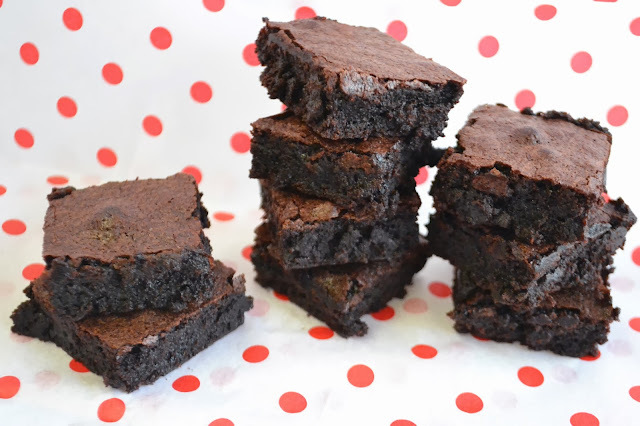 I consider them my Instant Gratification Brownies as it takes barely 30 minutes from when a craving hits to being able to stuff a fresh, warm brownie in my mouth. What more could you ask for? Read on for the recipe! You can use natural (i.e. unprocessed, non-dutched) cocoa but I would actually recommend venturing out and looking for the good stuff. I use Van Houten's Dutch Cocoa, which I just pick up from the local Woolies. You get a much deeper chocolate flavour from using dutch cocoa rather than natural. Also, make sure it's the unsweetened stuff not a cocoa drink mix. 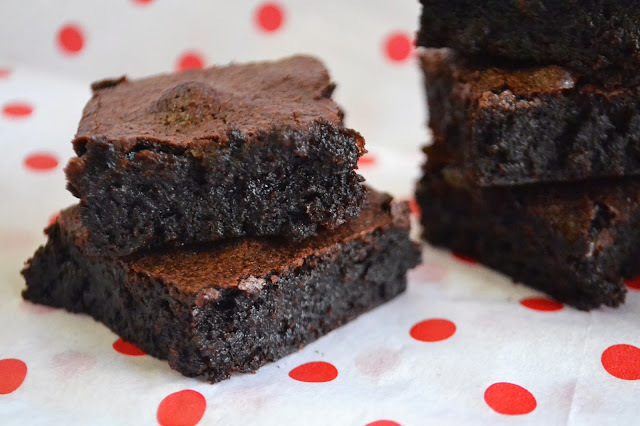 These brownies have that gorgeous fudgy, chewy texture that all the best brownies have. I will never understand people who prefer cakey brownies over chewy brownies; if you want chocolate cake, have chocolate cake! There's no need to blur the lines here people! There's barely any flour in these, just enough to hold the mix together really. These were a bit dangerous to keep in the house so I packaged some up in cute little paper pails and gave them away. 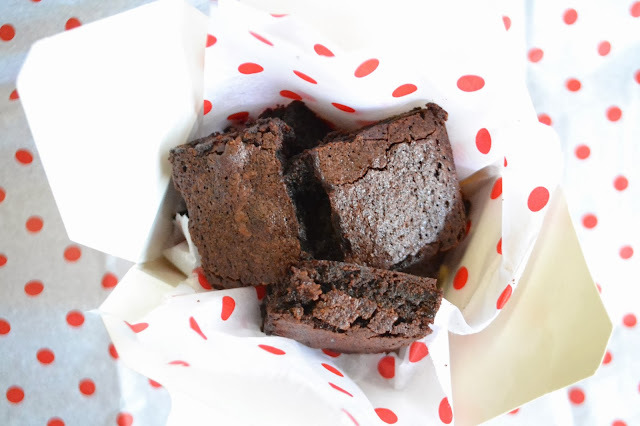 The recipe makes 25 small squares; you can make 16 bigger brownies but these are fantastically rich and I prefer the daintier size. You can add any mix ins you like with these. I kept them pure this time but in the past, I've used nuts, chocolate chips and mini marshmallows (note: these melted into nothing b-t-dubs). For Christmas, I'm thinking dried cranberries and pistachios maybe? Preheat your oven to 150ºC and line an 8-inch square pan with baking paper. Add butter, sugar, salt and cocoa to a bowl and nuke in the microwave for 1 minute or until butter is melted. Mix together with a spatula. Mixture will look grainy but not to worry! Everything smooths out once the eggs and flour are added. Add in the eggs one at a time, beating vigourously between additions. Also mix in the vanilla extract at this point. Fold in the flour until you can't see it anymore then beat vigourously for 40 strokes. I'm not entirely sure why but if Smitten Kitchen says so then who am I to argue? Stir in your mix ins if using. Pour into your baking tray and bake for 25 minutes. I usually take mine out at the 20 minute mark because I'm perpetually scared of overcooking my brownies. Cool for 5-10 minutes before cutting. If you want really clean cuts then cool completely in the fridge and use a hot knife. Evidently, I wasn't terribly concerned with this! Desperately try not to eat them all in once sitting.